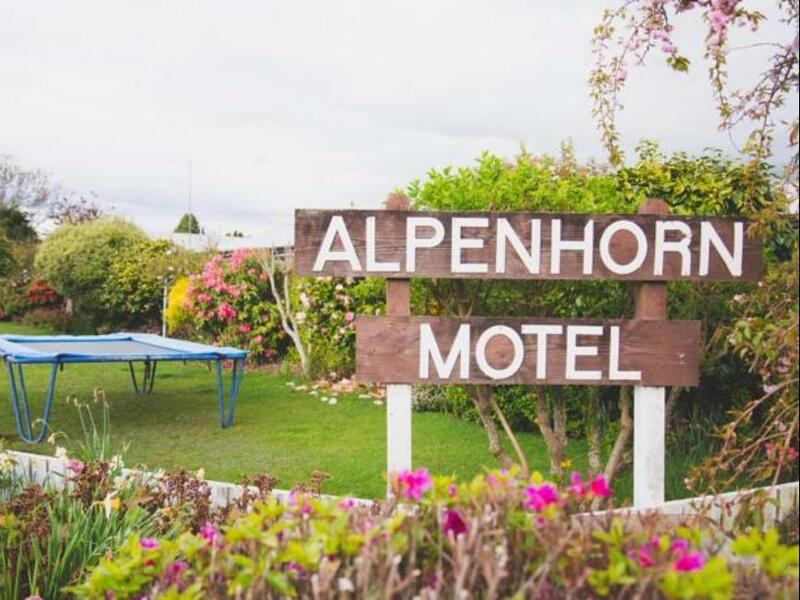 يشكل Alpenhorn Motel بموقعه الممتاز في المدينة نقطة انطلاق جيدة لاستكشاف أفضل ما فيها من معالم ومناطق نابضة بالحياة. يقع الفندق على بعد 1.5 km من مركز المدينة، ويؤمن الوصول إلى أهم مراكز المدينة. يوجد العديد من المعالم السياحية الأكثر جذبًا للسياح في هذه المنطقة. إن الخدمات الممتازة وحسن الضيافة العالي في Alpenhorn Motel تجعل إقامتك تجربة لا تنسى. هذه بعض الخدمات الموجودة في هذا الفندق: واي فاي مجاني في جميع الغرف, مرافق مخصصة لذوي الاحتياجات الخاصة, تخزين الأمتعة, واي فاي في المناطق العامة, صف السيارات. في الفندق غرف نوم يتجاوز عددها 7، كلها مجهزة بعناية وجمال وبعضها مزود بـ غرف لغير المدخنين, تدفئة, مكتب, شرفة/ تراس, ساعة منبه. يقدم الفندق خدمات رائعة كمثل مسار جولف - ضمن 3 كم, حديقة لمساعدتك على الاسترخاء بعد نهار طويل من النشاط والتجوال في المدينة. إن Alpenhorn Motel هو خيار ذكي بالنسبة للمسافرين، فهو يوفر إقامة هادئة ومناسبة للاسترخاء. 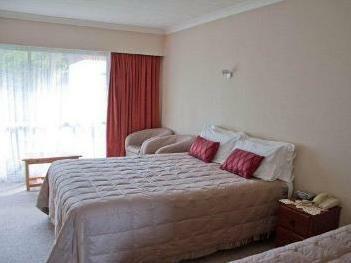 Clean, spacious bedrooms, outside space, good location. Easy to walk to the little town. Parking outside your room. Handy little laundry. Nice big room with outside seating. Lovely staff. Highly recommended. Would stay again. Near to highway, a good stop for travelers, basic facilities, nice staff, very small room, a lot flies came inside, can’t open a window..
Nice place to stay for the nigt. Heating is good. Has all facilities in toilets. Very helpful staff and flexible around check in-out times. Highly recommended. A very clean room and bathroom. 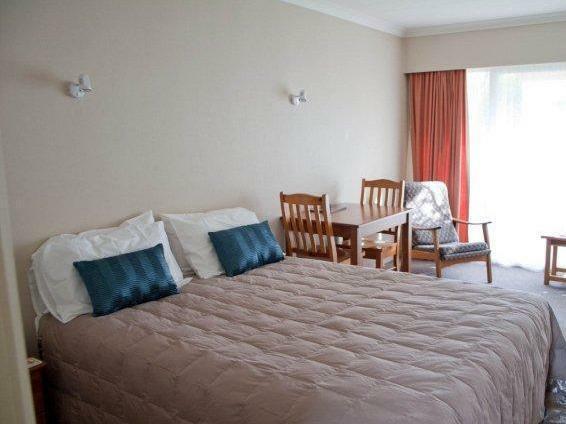 Has cooking facilities and really perfect for your visit to the town. Really lovely people who own the place. Can't complain. We were pleasantly surprised when we arrived after hours to find our room key posted for our easy access. The location to town was great and the owners provided excellent references for places to eat. Although the hotel is a bit older, it is well-cared for and has a beautiful garden area in the back. 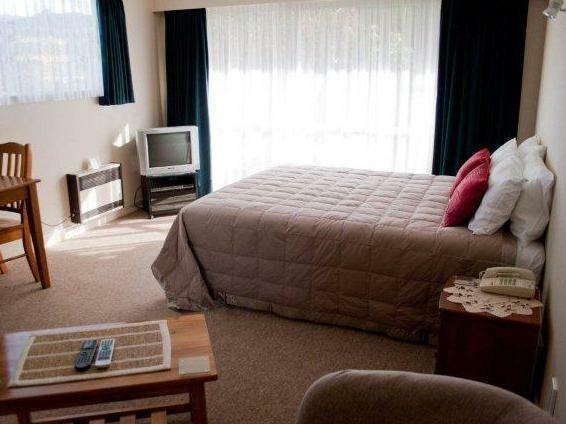 Good accommodation close to town and great for a stopover to visit Milford Sound. Rooms clean but a little dated. No power points near a mirror so using the microwave door for a reflection when blow drying your hair was not the best ...ha ha ha. Would stay here again. I arrived late and as arranged the key was In an envelope seletaped to the office door. Within walking distance to the beautiful lakefront and the main shopping street. Clean and comfy with a small garden outside your room to enjoy, close to the lake, but staff came in at 8:30 am and left around 4-5pm, I never get to see the staff, good that you can just left your keys at the door when check out, you can pick up your key in an envelope outside the office when check in. This is not the most modern or luxurious of properties but it perfectly suited our needs of just needing somewhere for one night before moving on. Staff were friendly and helpful and the location is god being near to the main street and the lake. Nice location, close to the Lake and food. Very friendly and helpful staff. 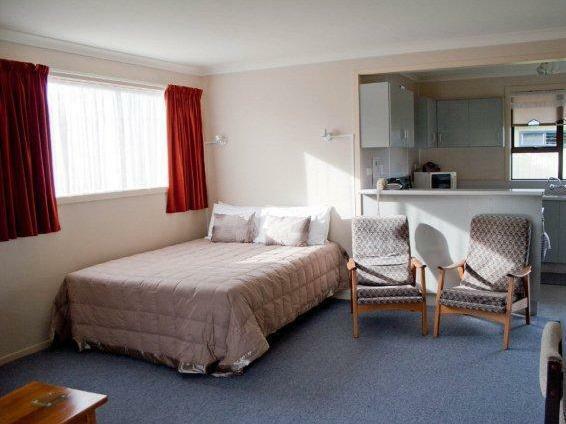 Room is simple but clean and confortable with free Wifi. We stay for two night, in Studio apartment. Very comfy bed, and excellent kitchen facilities. Excellent location close to town but quiet. Helpful and friendly staff.